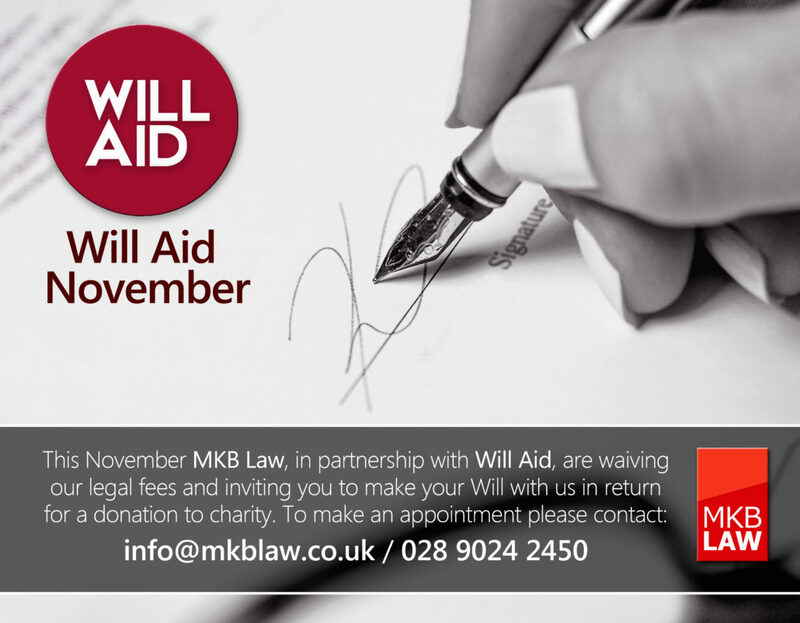 MKB Law are delighted be participating in Will Aid for another year this November. To ensure as much money as possible for Will Aid is raised, we will draw up your Will without charge, in the hope that clients will make a donation to Will Aid. The suggested donation is £95 for a single Will and £150 for a pair of matching Wills. The money raised supports the work of nine of the UK’s best known charities including: ActionAid, Age UK, British Red Cross, Christian Aid, NSPCC, Save the Children, Sightsavers, Trocaire (Northern Ireland) and SCIAF (Scotland). Making a Will is one of the most important things you can do to protect your loved ones, yet fewer than half of people have made one. This is your opportunity to make a proper, valid Will to ensure your wishes are carried out after your passing.